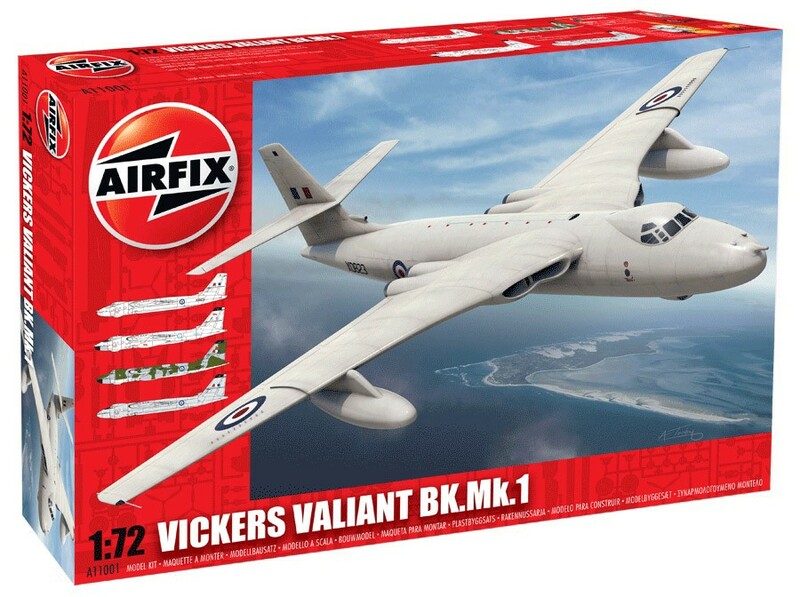 The Vickers-Armstrong Valiant was a British four-jet bomber, once part of the Royal Air Force's V-bomber force. As the Valiant was an entirely new class of aircraft for the RAF, 232 Operational Conversion Unit was established at RAF Gaydon. The first operational RAF unit to be equipped with the Valiant was 138 Squadron, also at RAF Gaydon, though it later moved to RAF Wittering. At its peak, the Valiant equipped at least seven RAF squadrons. A Valiant B.1 (WZ366) of No 49 Squadron (captained by Squadron Leader E.J.G. Flavell AFC) was the first RAF aircraft to drop a British operational atomic bomb when it performed a test drop of a down-rated Blue Danube weapon on Maralinga, South Australia, on 11th October 1956. It was the last time the V-bombers flew a war mission until Avro Vulcans bombed Port Stanley airfield in the Falkland Islands during the Falklands War in 1982.